From left to right, Mary Topp, Grant Topp, and Dawn Gabel, director in inpatient services. Grant Topp, along with his family and friends, donated socks to Joint Township District Memorial Hospital for patients and staff. 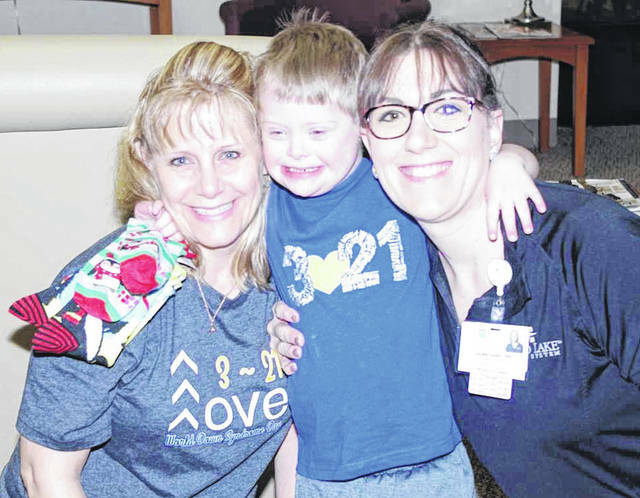 https://www.sidneydailynews.com/wp-content/uploads/sites/47/2019/03/web1_WorldDownSyndromeDay.jpgFrom left to right, Mary Topp, Grant Topp, and Dawn Gabel, director in inpatient services. Grant Topp, along with his family and friends, donated socks to Joint Township District Memorial Hospital for patients and staff. Courtesy photo.